The entire current issue of Chesapeake Style is now available for downloading by clicking on the above cover photo. This is an 6.5 MB PDF file and is best viewed by viewers on high-speed internet. For viewers who do not have Acrobat Reader, it can be downloaded free by clicking on the icon below. Note that many of the links (URLs, Emails) are active. The Facebook logos will usually connect directly to the Facebook pages. The opinions expressed in Chesapeake Style are those of contributing writers and do not necessarily express the opinions of Chesapeake Style or its advertisers. Reproduction in whole or in part of any material in the publication without permission is strictly prohibited. 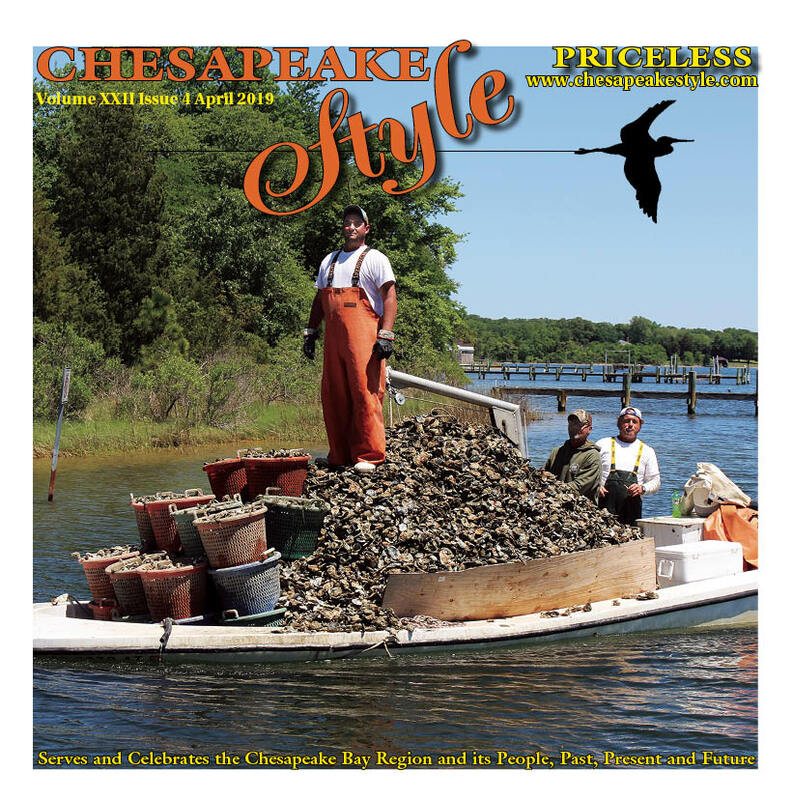 Chesapeake Style is an award winning colorful classy magazine serving folks in the Chesapeake Bay Region. It began as an idea in early 1998, and burst forth in full glory and color with the Premier issue the following August, 1998. The group of writers and photographers continues to grow as the appealing magazine continues to become more popular. The writers also helped to distribute more than 100,000 copies of the magazine eleven months of the year when it was published in paper. The magazine changed to online only in early 2002. It came back into print in 2007. Chesapeake Style not only celebrates the region, past present and future, but also contains articles about and a calendar of local celebrations. The writers will lead you through Memory Lane, where you will discover life as it was in a slower, more thoughtful time. Stop in and discover where to visit, year-round activities, or simply to learn more about the region and its writers. Espy the nooks and crannies of the Chesapeake Bay Region.